Supplementation with orthosilicic acid, a readily absorbable form of silicon, can help prevent hair from becoming fragile. This appears from a human study that lasted no less than nine months, and was published in the Archives of Dermatological Research in 2007. The researchers divided 48 women aged 18-65 years, all of whom had thin and fragile hair, into 2 groups. For 9 months, the researchers gave one group a placebo every day, and the other group 10 milligrams of silicon as orthosilicic acid. A dose of 10 milligrams of silicon per day is not too much, and safe. The supplementation increased the subjects' total daily intake of silicon by 5 percent. The researchers used a product from the Belgian Bio Minerals. Bio Minerals sponsored the research. Orthosilicic acid is the most important form of silicon in our diet. 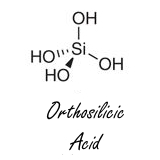 Orthosilicic acid is produced when silicon dioxide dissolves in water. The body absorbs silicon better in this form according to Bio Minerals in combination with choline chloride, another component of Bio Minerals' silicon supplement. The theory behind silicon supplementation is that silicon somehow is needed for the biosynthesis of the protein structures in connective tissue. For this reason, an adequate intake of silicon would be important for a healthy skeleton, joints, skin, hair and nails. 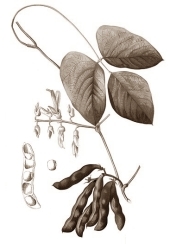 Before and after the supplementation period, the researchers determined the elasticity of the hair, and the strength needed to break the hair of the women. During the study, both the elasticity and the fragility of the hair of the women in the placebo group deteriorated. This did not happen in the women who received orthosilicic acid [ch-OSA]. The researchers also discovered that the silicon supplement made the hair thicker. "To our knowledge, the present study is the first randomized, double blind placebo-controlled trial that illustrates the positive effect of an oral mineral supplement on hair morphology and tensile strength", write the researchers. "Supplementation of choline-stabilized orthosilicic acid helps to reduce loss in hair elasticity and strength and improves hair thickness." Arch Dermatol Res. 2007 Dec;299(10):499-505. If you go looking for supplements that help prevent hair from greying, sooner or later you'll come across PABA - or to give it its full name para-aminobenzoic acid. Weird case study from South America. Athletes are familiar with L-carnitine as a compound that stimulates muscle cells' burning of fatty acids and that boosts endurance performance. The same L-carnitine also works as a hair-growth enhancer.